The agricultural development of a region of eastern China is ecologically unsustainable and actions are needed soon to reverse its decline, according to a new study by geographers at the University of Southampton. The work, supported by the UK Government through the Ecosystem Services for Poverty Alleviation (ESPA) research programme, used complex system science to examine the long-term health of the ecosystem of the Lower Yangtze River Basin, around Nanjing and Shanghai. Professor John Dearing from the University of Southampton led a team which found the region has been in environmental decline since it passed a tipping point in the late 1970s. Professor Dearing says: “By combining a range of data we have been able to get an overview of the economic, environmental and social health of the region – understand how these factors have been working together – and what the implications are for the future. the relatively stable pre-1970s ‘agriculture-ecology’ system in the region reached a tipping point at the end of the 1970s, as reforms in China allowed farmers to grow surplus crops with more fertilisers and pesticides. economic development has created a ‘trade-off’ between gains in agricultural productivity and increasing environmental degradation, with losses of ecosystem services, such as good water quality and stable soils. the relationship between current economic and environmental conditions is unsustainable and in continuous decline. It is uncertain how the ecological conditions can recover before they actually affect the agriculture and the livelihoods of those that depend upon them. 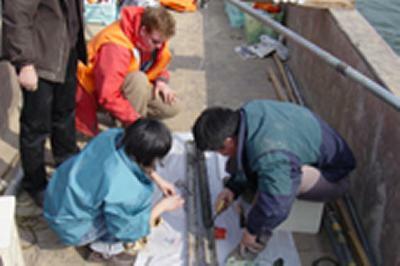 The team focused their study on four counties in the Lower Yangtze region; Huangmei, Shucheng, Wujiang and Chongming. They examined data from the 1950s to the present day. This included core samples taken from lake beds, which allow the analysis of microfossils, geochemistry, mineral magnetism and sediment accumulation rates. These different analyses give clues about the past health of the environment – for example, the diversity of plant species, or a measure of air quality. In addition, researchers studied official statistical records and climate models to give trends on land use, population, gross domestic product (GDP), temperature and precipitation. The study authors hope their findings can be used to inform and guide regional managers to prioritise their most urgent environmental issues and identify strategies to tackle these. Poverty alleviation strategies in eastern China lead to critical ecological dynamics has just been published in the journal Science of the Total Environment.